Sony makes great looking stuff and the BX400 is no exception. The first thing you notice about the BX400 is the sleek design. It has a glossy finish and you are going to feel the pleasure to look at. I’ve never failed to get compliments on it whenever friends are over. The build feels solid. High marks on the design. Movies running at 1080p is a wonderful experience. The colors are sharp and picture clarity is good. I was concerned about whether normal cable would look good or not at such a high resolution but my worries were groundless, it looked good if not great. Normal movies however didn’t fare so well. Normal DVD’s looked bad. They seemed grainy and blurry – ones with good print were acceptable though. So unless you’ve hooked up a player that has HDMI output or if you’re using your personal computer to play a movie, you feel kind of let down after spending so much on the TV. Mind you, you could always watch it at its original resolution but why buy a high resolution TV if your going to do that in the first place. I’d run out of adjectives before i could tell you how good HD images look on the bx400. The colors were vibrant and the clarity was astounding. It also has a slideshow option as well as a picture frame mode. The sound quality is very good. Its clear and without distortions. The max sound is a bit on the low side though, nonetheless, I would rate it above par. It has virtual surround sound and immerses you in the viewing experience. It has 2 HDMI port for playing all those high definition movies and for enjoying your gaming consoles at maximum possible quality. I had issues connecting my camera with the TV through USB though. Technically it should not be a problem but it was failing to read from the camera. So expect un-desired issues with cameras that are of companies other than Sony. But if you have a card reader, its gonna be pretty smooth. Just connect the card reader to the USB port and your good to go. The formats supported by the USB port are limited and I was very disappointed that the TV didn’t support any video format other than MPEG1 and MPEG2. Support for divX and avi files is usually expected with such expensive devices. Converting movies to MPEG2 takes way too long. But if you do want to do that the best software to use in Any video converter Professional edition. 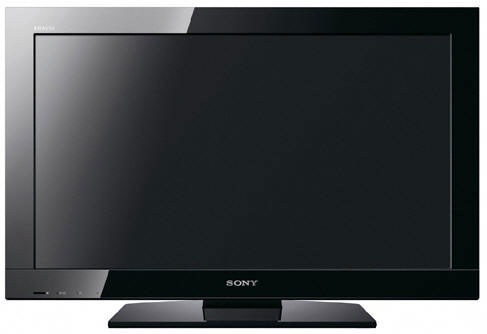 It has Bravia sync, which makes connecting all your Sony stuff extremely easy and hassle free. The FM radio works great. Other features include noise reduction for action packed scenes and different presets for setting the vividness of the colours on the screen. Its priced at PKR 76,500 (Prices may vary according to your location). There’s a free DVP SR400 DVD player bundled with it too (Deal was up and running the last time I checked with the official store). And the DVD player has divX support. So I’d recommend that you get it instead of getting a PKR 3000 discount on the TV ( Which I did, and regret now because of limited support for different video formats in the tv). Also, old school haggling works great too, I got the TV at PKR 71,000 after some negotiating from the official Sony display center in Islamabad. The TV itself is a great buy and highly recommended. It has 1080p support so you’ll be future-proofed. But since most homes have standard cable connections which aren’t HD, make sure you get a HD media player like the WD TV Live or at least a DVD player that has divX support so you can burn movies from your PC to watch on the TV. Its maximum sound is low compared to other LCD’s. However its perfectly adequate in a home setup. k–You might have looked on display centers..What about LG 24″ LCD TV because I have maximum budget of 25k-27k and I can not spend more than that…Have you found LCD TV of at least 24″ in that range…?? I am personally using it for more than 4 months now .. Yes, it sound quality is great, specially when watching a movie.